Due to its solid second quarter and another revenue and profit forecast increase, Activision Blizzard, Inc. (NASDAQ:ATVI) shares jumped by over 11% in early trading today. The videogame company reported that its EPS and revenue was $0.13 per share and $759 million, respectively, above expectations of $0.08 and $665.5 million. For the third quarter, Activision Blizzard expects adjusted EPS and revenues of $0.14 and $930 million, respectively. The firm also raised its 2015 adjusted revenue forecast to $4.60 billion from $4.43 billion and its full-year adjusted profit guidance to $1.30 per share from $1.20. This is above the Street’s consensus of $4.47 billion and $1.23 per share. The strong performance for the second quarter was boosted by digital sales as revenues in the segment jumped by 19.5% to $569 million, which now accounts for 55% of the company’s total revenues. 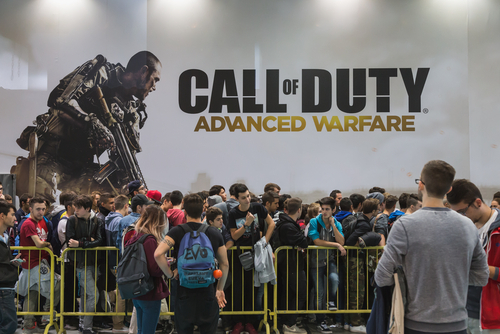 Hedge funds may have seen this positive quarter for Activision Blizzard, Inc. (NASDAQ:ATVI). But first, a quick word on why we track hedge fund activity. In 2014, equity hedge funds returned just 1.4%. In 2013, that figure was 11.3%, and in 2012, they returned just 4.8%. These are embarrassingly low figures compared to the S&P500 ETF (SPY)’s 13.5% gain in 2014, 32.3% gain in 2013, and 16% gain in 2012. Does this mean that hedge fund managers are dumber than a bucket of rocks when it comes to picking stocks? The answer is definitely no. Our small-cap hedge fund strategy – which identifies the best small-cap stock picks of the best hedge fund managers – returned 28.2% in 2014, 53.2% in 2013, and 33.3% in 2012, outperforming the market each year (it’s outperforming it so far in 2015 too). What’s the reason for this discrepancy, you may ask? The reason is simple: size. Hedge funds have gotten so large, they have to allocate the majority of their money into large-cap liquid stocks that are more efficiently priced. They are like mutual funds now. This is where we come in. Our research has shown that it is actually hedge funds’ small-cap picks that are their best performing ones and we have consistently identified the best picks of the best managers, returning 123.1% since the launch of our small-cap strategy compared to less than 60% for the S&P500 (see the details). Furthermore, Insider Monkey tracks insider transactions such as buying or selling of shares. This tells us whether insiders are betting on company shares or not, which would be another sign that informs the intelligent investor. While there have been no acquisitions of shares by insiders yet this year, some have let go of part of their stakes. The most recent sale was by Chief Customer Officer Brian Hodous who sold 43,942 shares on May 8. With all of these in mind, we’re going to review the new hedge fund activity surrounding Activision Blizzard, Inc.